A prominent business leader in Chicago, Perry Mandera is the founder and president of The Custom Companies, Inc., which provides a range of logistical and transportation services throughout the United States. Perry Mandera retains membership in the Illinois Trucking Association (ITA), which supports transportation companies in Illinois through resources and advocacy efforts. 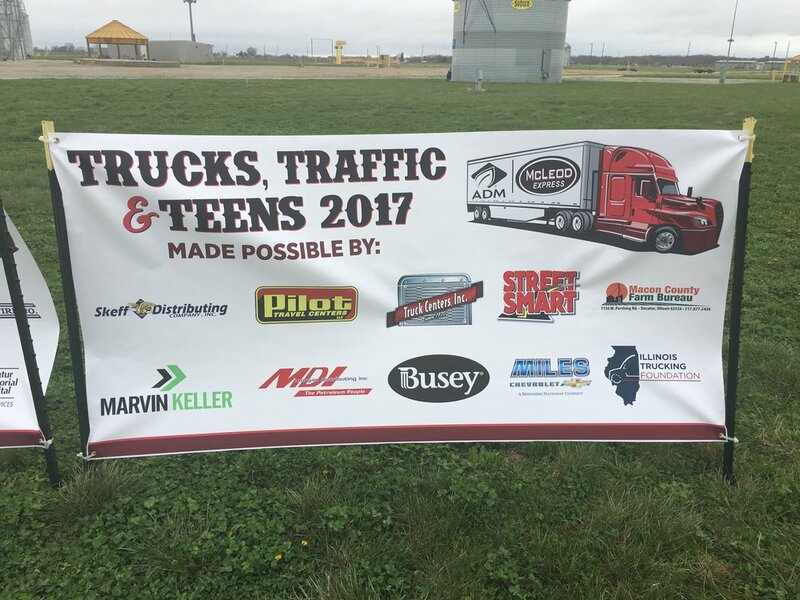 In April of 2017, the ITA held its annual Trucks, Traffic, & Teens event in Decatur. The three-day event invited driver’s education students from regional high schools to learn more about the trucking industry and commercial vehicles. The centerpiece of the event was a semi-tractor with a 53-foot trailer, which students could sit in to see for themselves how visibility is restricted in large vehicles. This helped students learn the importance of staying out of the blind spots of large commercial trucks. The ITA is already planning another 2017 Trucks, Traffic, & Teens event in Joliet. Benefits of Choosing The Custom Companies, Inc.
A longtime Chicago entrepreneur, Perry Mandera has served as president of The Custom Companies, Inc., for more than three decades. Over that time period, Perry Mandera has built his company into a leading provider of transportation and logistics services. There are many qualities that separate The Custom Companies, Inc., from the competition. For starters, the company offers transit services that consistently rank among the fastest in its region and nationwide. It is able to do this by having control over the entirety of the logistics chain, controlling its own direct line services, and minimizing the amount of time a shipment is handled, which in turn lowers the number of potential situations that can hold up a shipment between its origin and destination, making the overall trip faster. In addition to its domestic services, The Custom Companies, Inc., also offers service to Canada, transporting items every week. The company is qualified to handle all the paperwork involved in these transactions, including providing a Certificate of Origin, Commercial Invoice, and North American Free Trade Agreement (NAFTA) documentation. Perry Mandera is the founder and president of The Custom Companies, Inc., which provides a range of transportation and logistics services to clients in the United States. In addition to maintaining a fleet that includes refrigerated trucks, Perry Mandera’s company leverages a range of technologies that provide high-quality services to clients. The Custom Companies’ website incorporates the Cheetah Dispatch Software system, which offers dynamic routing options to ensure optimization of all the company’s pickup and delivery routes. Further, The Custom Companies’ Dock Management System (DMS) eradicates misloading and misrouting issues with a zip code system that ensures the safe, speedy delivery of shipments. Clients also benefit from access to The Custom Companies’ Warehouse Management System (WMS), which provides inventory visibility at the piece level, allowing users to examine and track their inventory and shipments at all times. Beyond these direct technological services, The Custom Companies equips all of its drivers with tablet computers to provide them with constant access to the company’s systems.